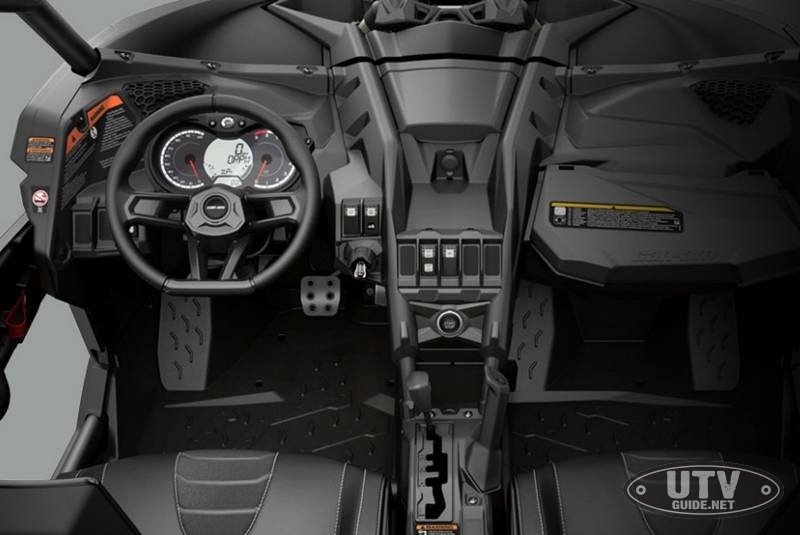 The Can-Am made a very bold statement this summer when they introduced us to the Maverick X3. I have spent some time behind the wheel on three different occasions, and feel that it is a big leap forward. The Can-Am Maverick X3 X ds Turbo R has a few things going for it that make me happy, suspension, performance and comfort. The Maverick X3 X ds comes with fully-adjustable FOX 2.5 Podium RC2 HPG Piggyback shocks, with front and rear dual-speed compression and rebound settings for unparalleled flexibility on any terrain, with any driving style. 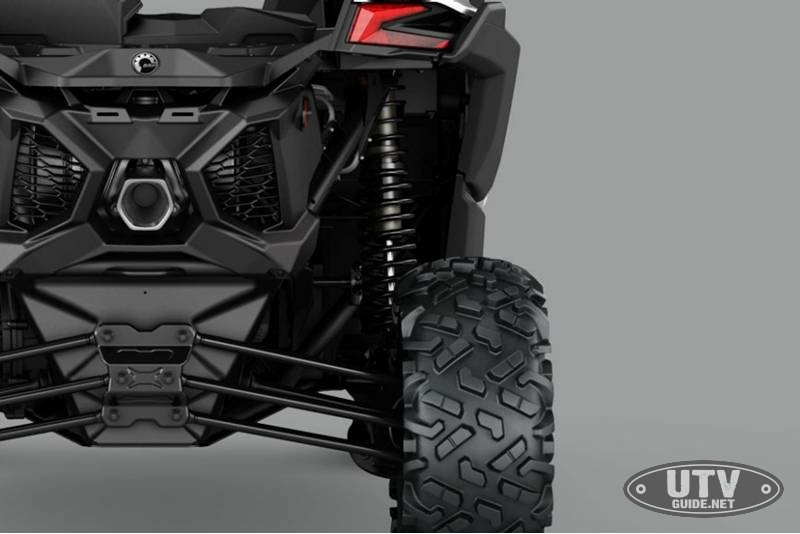 The 64-inch width acheives 20-inches of front and rear suspension travel which is only topped in the industry by the Maverick X3 X rs. 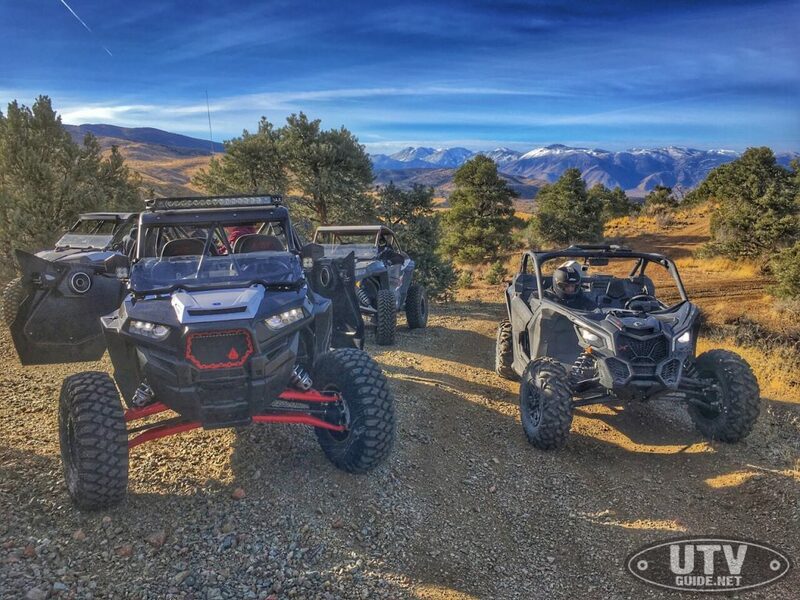 The X3 also has a long 102″ wheelbase that slots it in between a Polaris RZR XP and a RZR XP4. 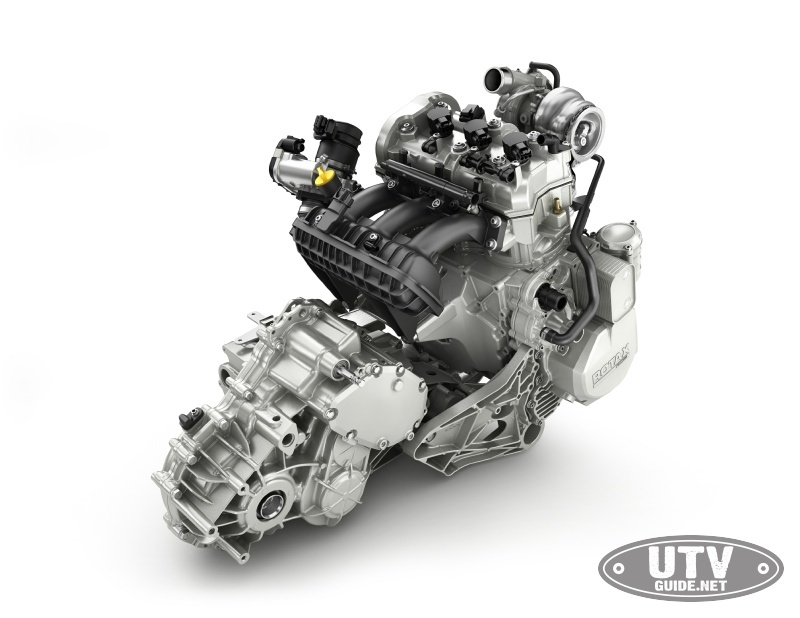 154 hp turbocharged and intercooled Rotax ACE engine. 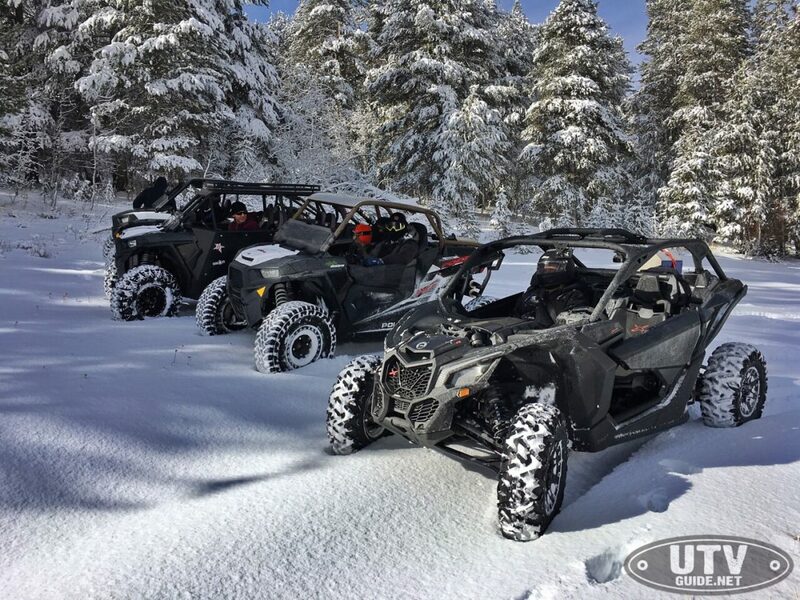 The Maverick X3’s triple-cylinder Rotax ACE engine lays down 154 horsepower at 7,500 RPM and 113 lb-ft of torque at 7,000 RPM. Driving from 30MPH to 60MPH is exhilarating and I LOVE using it! 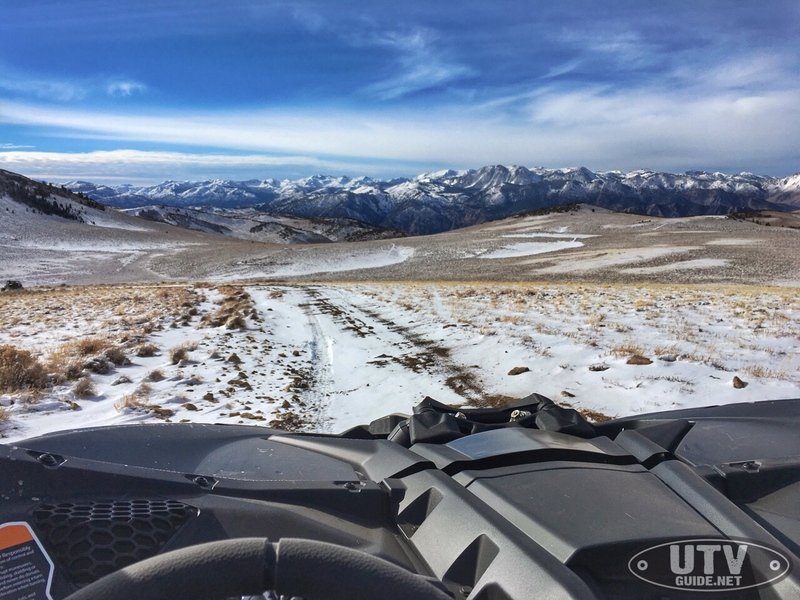 The Maverick X3 has a very spacious cab with lots of legroom. With excellent legroom, the Maverick X3 is super comfortable for 6 foot or taller driver’s and passengers. The feeling of the X3 is more of a “sit in” rather than a “sit on” type of feel – more like a Corvette than a Ford F250. I have been waiting patiently for a demo unit as I watched from the sidelines as new owners hit the desert and dunes with their new X3’s. 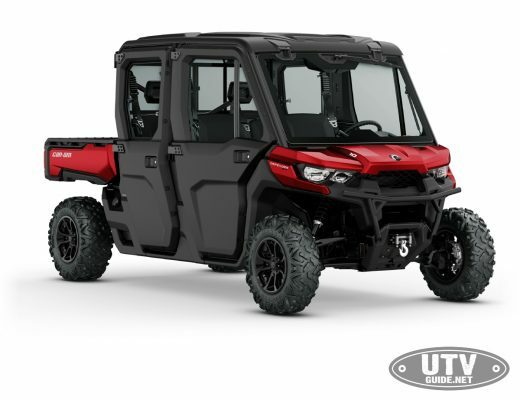 That all changed when I got the call that our our newest manufacturer’s demo unit was ready for pickup at Elk Grove Powersports. As an editor, it is tough to get the whole picture of a new vehicle without having one on hand to ride for more than a day at a press intro, so it is always exciting to pickup a new demo unit and dig deeper. After I loaded the X3 on the trailer, I noticed that there aren’t any locations specifically setup for tying down the vehicle. 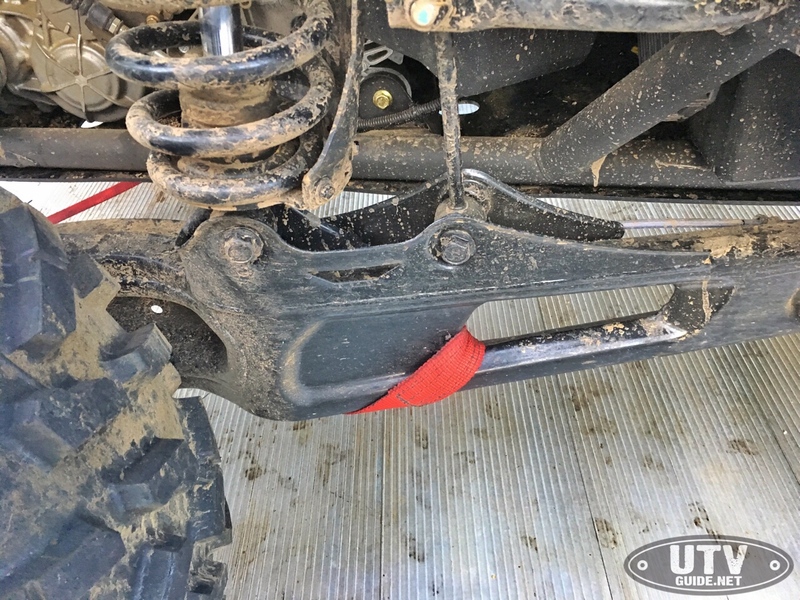 Not a problem if you have tie downs that can loop back on themselves, but I did not find anywhere that I could connect up with a hook on the front or rear. Front-end secured on the trailer by looping around a-arms. 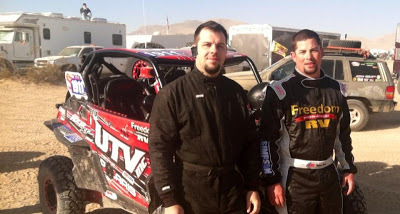 A few days later, I got a call from Mike at the Dmax Store about a ride over in Nevada on Sunday. Hmm, sounded like a perfect opportunity to test out the Maverick X3! 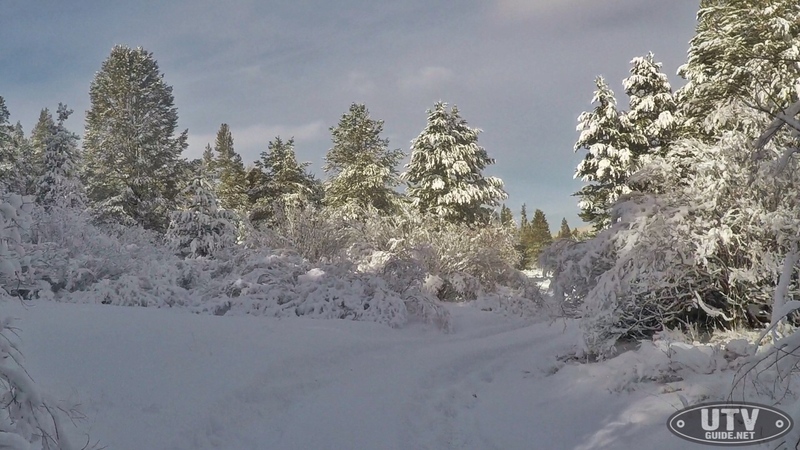 A big storm rolled through northern California on Saturday, and brought rain and some snow to Nevada as well. 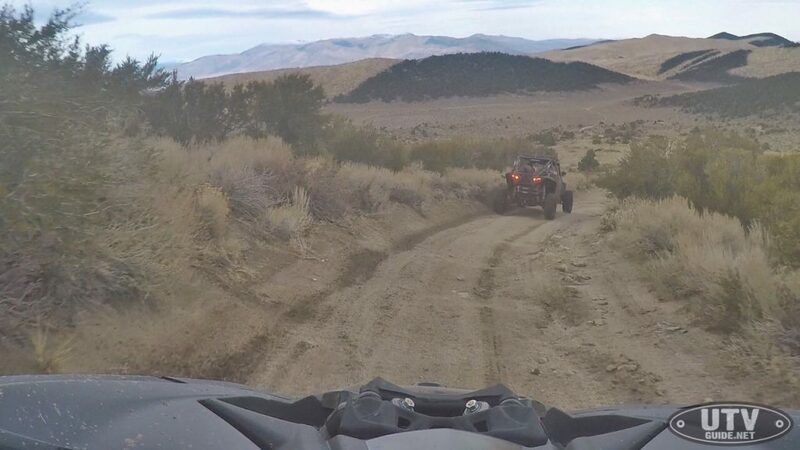 Our plan was to head south from Gardnerville, NV and park near Topaz lake. Having never been to this area, I was excited to try it out. The elevation of parking area is about 5,000 feet and there was no snow at this level, but the good news is it had rained enough the day before that we had dust-free riding in the morning. We climbed up a wash in a small canyon and I was dodging rocks right and left. The other cars in the group all had 32-inch tires, and with 29-inch Bighorns, I was feeling a bit exposed. For one thing we seemed to be hitting our skid plate more than I thought we should, and the other is i didn’t want to get a pinch flat. 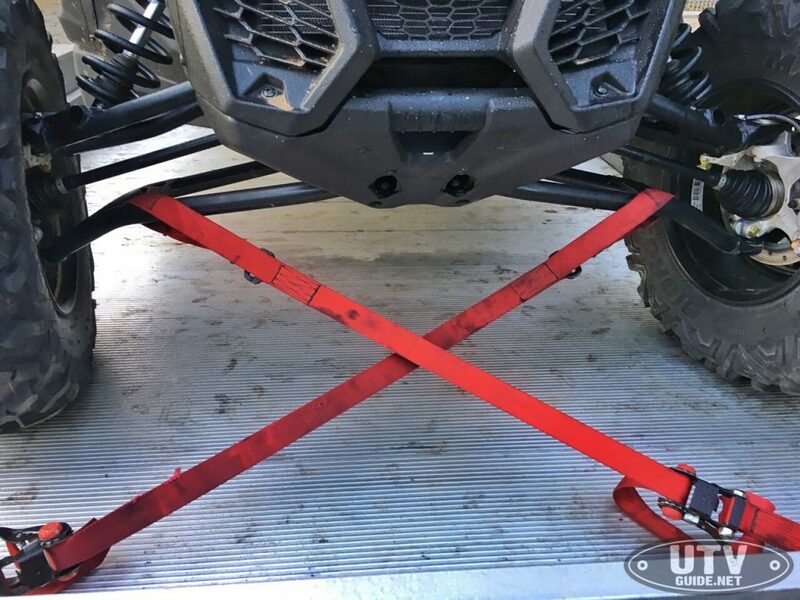 The Maverick X3 X ds does come with a full High Molecular Weight (HMW) skid plate, so I knew the underside should be protected fairly well, but it sure seemed like we were lower than I expected. After I got home, I measured the rear of the X ds to see what kind of ground clearance we had and sure enough, it was lower than advertised. The X ds specs state 14-inches of ground clearance, so it is likely that the ride height on the shocks was not set properly at the factory or adjusted at the dealer. 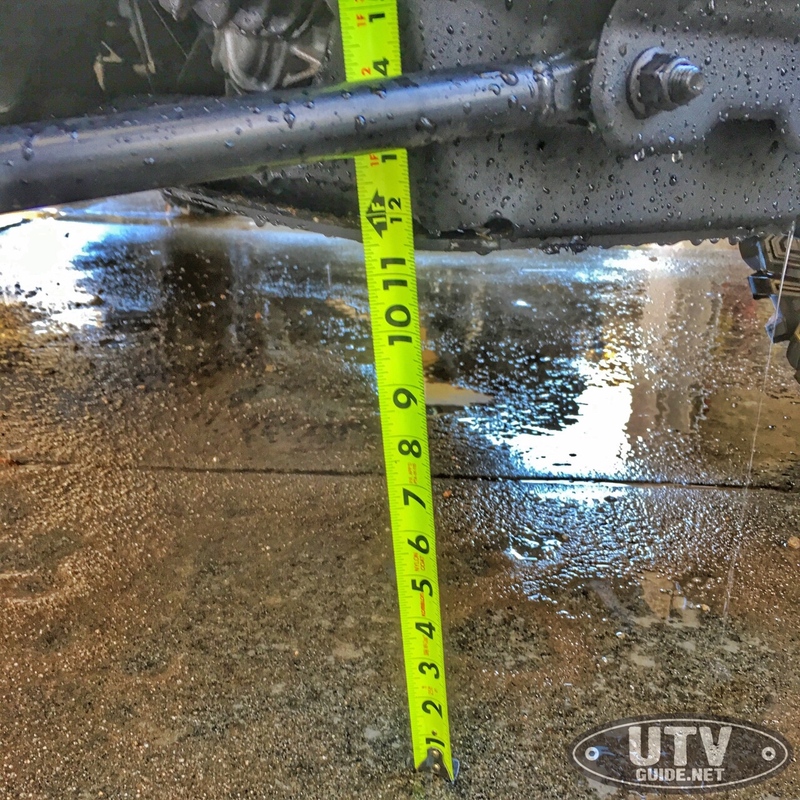 This isn’t that big of a deal, since the unit comes with a shock spanner wrench and with a jack under the car, it is pretty easy to bring the springs down a little to achieve the proper amount of ground clearance. We kept climbing and found some fun roads. At one point my codog Miguel and I were leading, we came to an intersection and stopped to make sure we were heading in the right direction. Miguel pointed in front of us and said “what is that?” Bounding up the hill in front of us was a mountain lion! Dang, I’ve never seen one of them on a ride before. Sorry, no pics so I can’t prove it…. Pretty soon, we had climbed enough so that the rain the day before turned into snow. 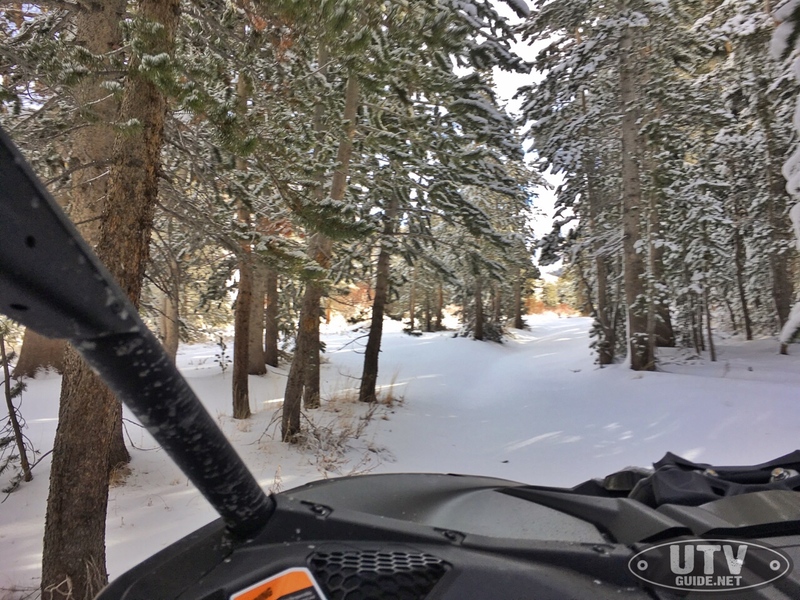 A few inches turned into almost a foot and soon our skid plate was dragging as we broke new trail through the fresh powder. 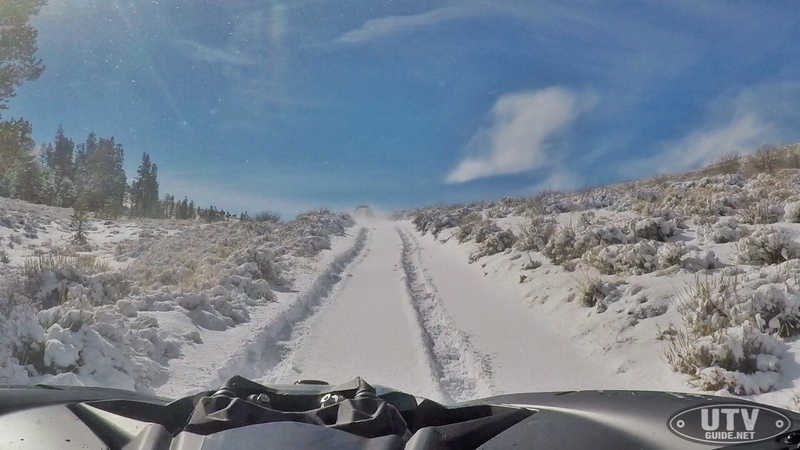 The torque of the triple cylinder turbo Rotax was absolutely amazing in the deeper snow. I can only imagine how well it would do with the proper amount of ride height and some 30 or 32-inch tires! 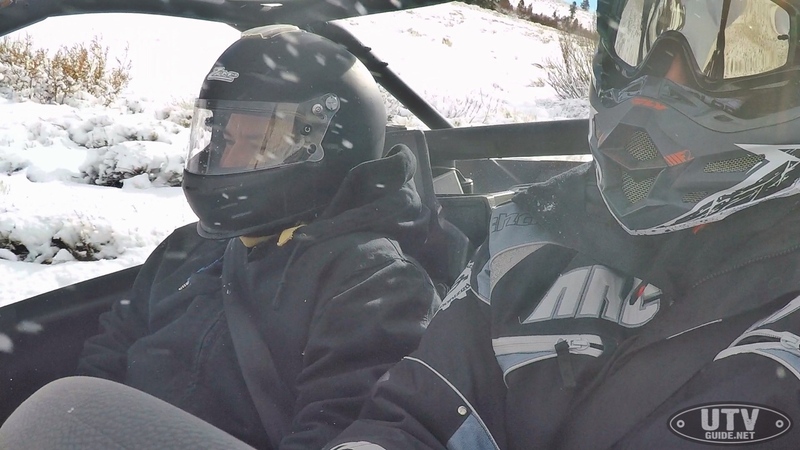 One of the things that I noticed during the press intro in Baja (see CAN-AM MAVERICK X3 REVIEW) is noise coming from behind the driver’s seat. This is where the clutch and engine intake are located, and after hours on the trail, I found it a little loud. I did not notice the same level of noise on our X ds. The only thing I can think of is the units we had in Baja were pre-production and maybe something changed for the production units. Either way I am not complaining. We explored around the area for a little over 50 miles and had a great time. This area is definitely somewhere I would come back to. Better prepared with a map and/or GPS would be a big help. The conditions were perfect and the power and torque that the Rotax triple puts down is exhilarating. I will for sure adjust the shock pre-load, and depending on how long I get to keep this demo, I would like to see how the car handles a set of 32-inch tires.